Water Alert, Dual Sensor has been released! 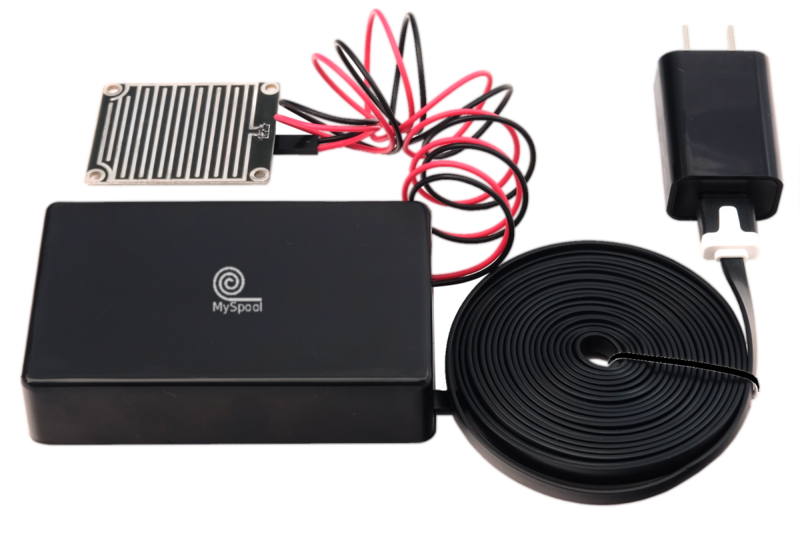 MySpool Water Alert family is expanding again: a rugged Dual Sensor Edition is available for immediate delivery! Enjoy all the great features of MySpool Water Alert in a rugged enclosure with TWO separate sensors and a clear cover to see indicative LEDs. The Dual Sensor Water Alert comes with two hardened sensors, each with a 5 ft wire. The sensors work independently of each other. All notifications, including text messages and email indicate which sensor is sending the alert. If you are looking for a great Water Alert that will cover an area up to 10 feet wide, this is the product to buy. MySpool Monitoring Service is now live! We are pleased to announce the release of the Monitoring Service for all MySpool A/C powered devices. This is a free service that runs on our cloud servers. In case your device misses a scheduled check-in, we will notify you via email that there is an issue. The devices we are monitoring include Water Alert, Gas Alert, and Mailbox Alert Extended Range. There is a new addition to the MySpool Water Alert family: a Water Alert Rugged Edition! Enjoy all the great features of MySpool Water Alert in a rugged enclosure. It can take the weight of a grown man, work in a dusty or moldy environment and other extreme conditions. If you are looking for a great Water Alert that will last, this is the product to buy. We are proud to announce that our Extended Range product family is here. There is now a Mailbox Alert that works at well over 1200 feet! You will get the same text message, email or a push notification as you do with MySpool Mailbox Alert. To increase the range well beyond what WiFi is able to provide, more than four times according to our tests, we added another wireless communication network called LoRa to our Mailbox Alert. This enables it to send alerts to a hub that is placed inside your house. That hub uses your home WiFi to forward MySpool alerts to our cloud servers. This is a brand new design which combines different networking technologies. 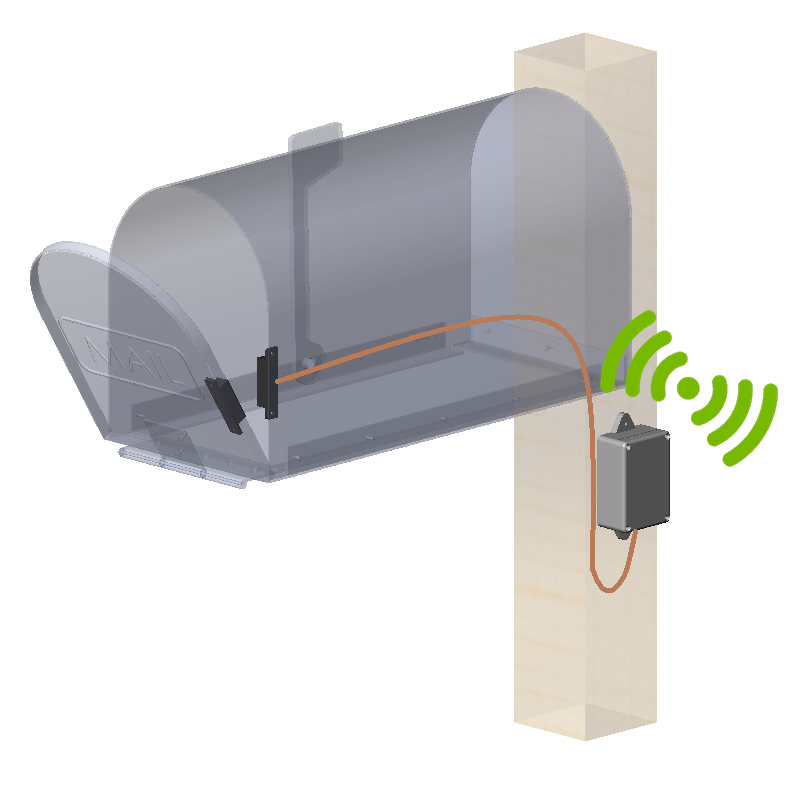 If your mailbox is located out of your WiFi range or if your WiFi signal at the mailbox is weak, but your mailbox is still within the line of site of your house, this is the product to buy. 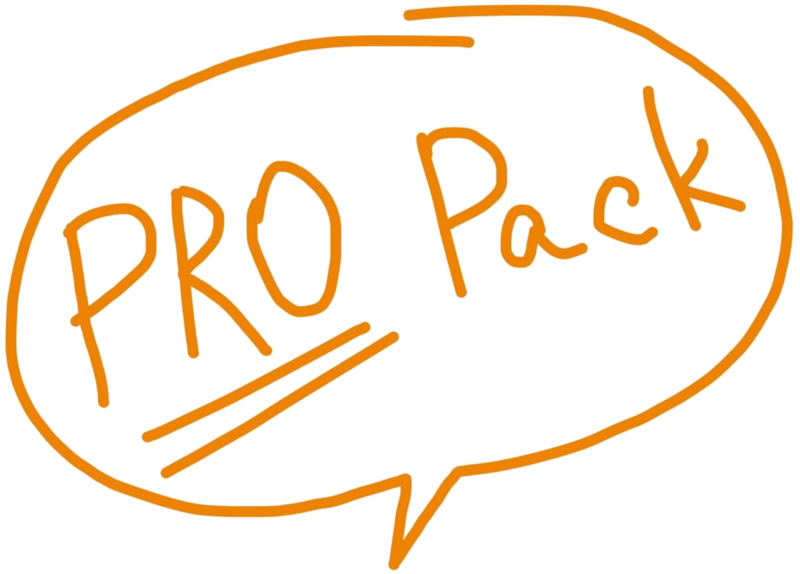 As requested, we are making available special bulk packaging: when you buy any 6 items on myspool.com we will send you 7 of those items. For example, purchase 6 Water Alerts and we will send you 7. Go ahead, take advantage of us! MAILBOX Alert is a smart device inside your mailbox that sends out an alert when your mailbox is opened. That alert is a one time message, either via email or text, or both. Optionally, this device can also send you pushbullet notifications. MAILBOX Alert is configured to use your WiFi. The WiFi setup takes a few minutes with a smart phone or a laptop. 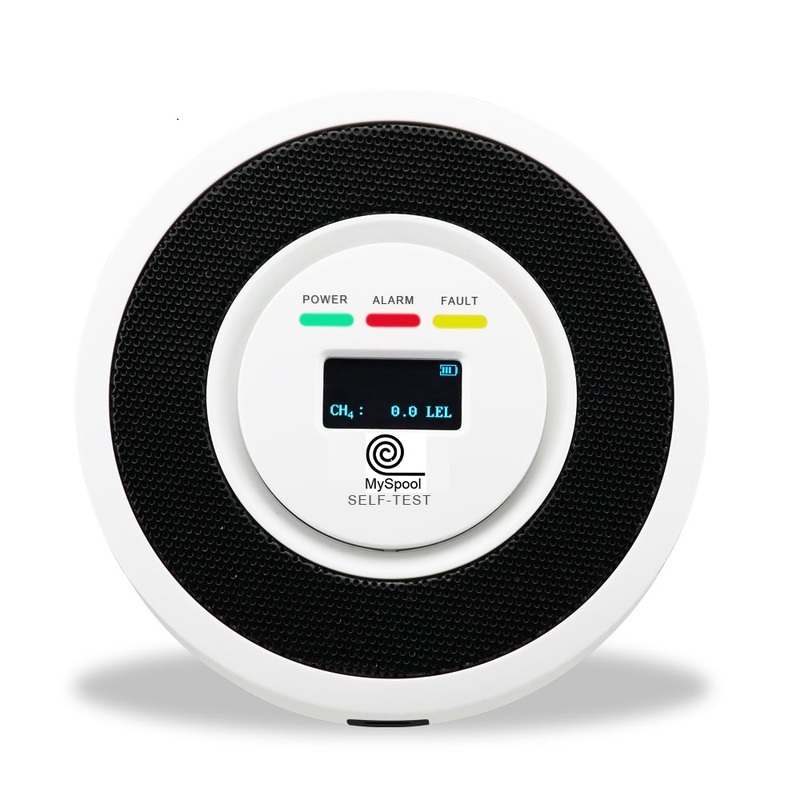 WATER Alert is a smart device that sends out an alert when water is detected by its sensor. That alert is a message, either via email or text, or both. Optionally, this device can also send you pushbullet notifications. Alerts are repeated every 5 minutes until the sensor is dry. Water Alert is configured to use your WiFi. The setup takes a few minutes with a smart phone or a laptop. CALLME Button is a smart battery-operated hand-sized push button that can be used to summon help in an emergency. 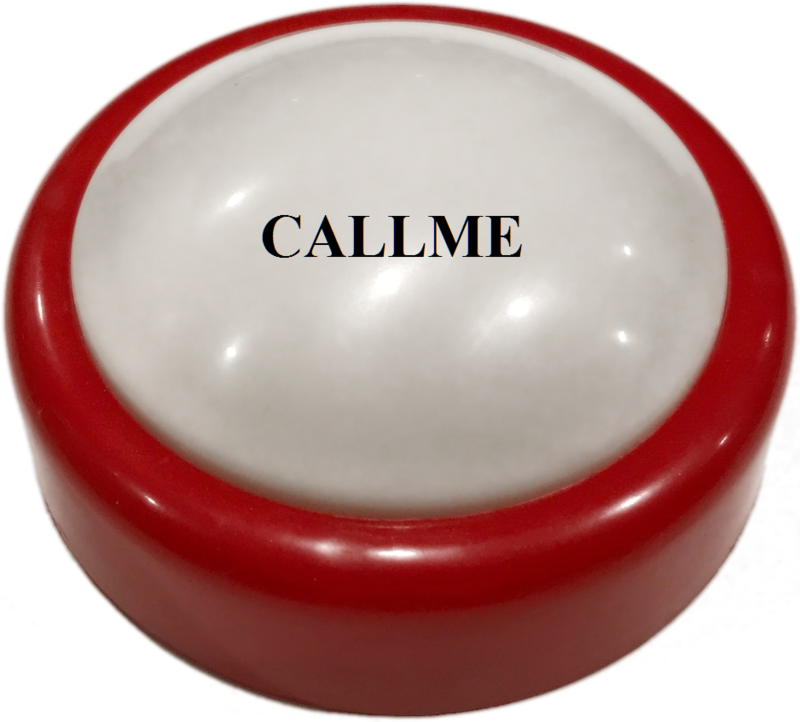 When pressed, a CALLME button will send an email or a text message, or both. CALLME button is configured to use your WiFi. The setup takes a few minutes with a smart phone or a laptop. Once the button has been setup, a few details need to be specified in the Alerts Portal. They include your email address and phone number.